Bombay & Cedar is a luxury lifestyle subscription box for women that focuses on essential oils, diffusers, skincare, books, snacks and other products. The Cost: $49.95 per month + $6.95 US shipping, or save with longer subscriptions. Here are the two bottles I got this month. I love the grapefruit oil’s aroma. I’m used to citrus fragrances, but this version is brighter, crisper, and just delightful. The grounded blend contains woodsy scents like silver fir needle, ylang ylang, juniper, and cedarwood. It smells like wandering through a tree farm—piney, a little musty, earthy. These little cards give some additional information, including what their wellness usages are. Wow wow wow are these crunchy cookies ever yummy! They’re kind of like richer snickerdoodles. The only downside is that they’re very crumbly. I ate about 6 of these delicious cookies with coffee as my breakfast this morning, and the oodles of crumbs on my desk are indisputable evidence of it!!! This item feels like a greeting card that grew up into a full-blown book! It’s filled with encouraging words and phrases on bright yellow and white pages. If I don’t hang onto it for my own inspiration, I might gift it to someone who needs a little pick me up. I love this creamy, natural hand balm. The formula includes shea butter, coconut oil, apricot oil, mandarin, bergamot, and eucalyptus essential oils that give it a soothing consistency and a fresh, somewhat sweet aroma. I’ve been trying to do better at moisturizing my hands before I fall asleep at night to keep them happy and nourished all night long. This balm will be so helpful (and luxurious) for that purpose! I don’t typically wear socks when doing yoga, but I can foresee myself getting a lot of use out of these half-toe socks as alternates for fall slippers around the house! They’re pretty soft, with cute cranberry stripes and turquoise nubbins on the bottom. They also say “Be Great” across the tops, just for a little extra oomph of inspiration. I personally really like using balls like these to help press out tense areas of my neck and back. The idea of adding some aromatherapy into the mix—especially when it involves the uplifting aromas of pink grapefruit and peppermint—is all the more luxurious. But $35.00 does strike me as an awful lot to pay for these two rubbery balls, which honestly remind me of the bouncy balls I used to get from the machines at the grocery store! Natural dental products are becoming more and more common in wellness boxes, I find. It’s a unique experience to give them a try. The toothpastes, thus far, haven’t been quite my thing, but I’m getting more into the natural rinses I’ve received. The oil-based rinse I got in this box is made to soothe and clean the gums with refreshing, gentle essential oils. So far, I’m liking how nourished my gums feel (which is something I’ve never thought I’d say about gums…). It’s especially nice before bed—sometimes I sleep with my mouth open, which causes dryness (not a good thing for teeth or gum health), but this formula helps retain a bit of the moisture I’d otherwise lose. I love the aroma of this natural candle! It’s very citrus-heavy, but the evergreen notes give it a fall/winter vibe that’ll be perfect for the holidays. I like the cork lid, too—it makes the candle look a little more interesting while it’s sitting on my shelf waiting to be used. Sometimes you’ll get a bonus item with your subscription box if you share the box on social media. This month, I got this refreshing mask from Feel. This vegan mask is a translucent, golden gel that nourishes and tones skin with all sorts of rose extracts. It was far less drying than a traditional clay mask, and between the packaging and the pretty aroma, it made me feel upbeat, pretty, and pampered. Verdict: Bombay & Cedar is just one of those reliably great boxes. I loved this round of peaceful products that really did balance cozy fall vibes with refreshing perky fragrances. The cookies were awesome (they’re also almost gone already…), the skin and body care products were effective and unique, and though it’s superficial, the cute packaging on everything made the products feel all the more fun and fresh. Can you still get this box if you sign up today? No, but order by the 12th to get the September box! 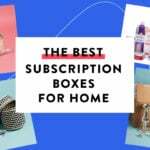 Coupon – Use MSA10 to save 10% off for life on their recurring subscription box! What do you think of the Bombay and Cedar “Balance” Box? Their customer service is HORRIBLE!!! I have been trying to contact them for a WEEK to absolutely no avail! Their site isn’t recognizing the email I signed up with for some reason despite the fact that they send my invoice there!!! I am so beyond angry! Wow, I emailed them several times in the last week and got a response every time within minutes or hours. I was thinking they had awesome customer service, lol. @Geordana, there was a response to your message the same day you contacted us. Please check your spam folder in case it ended up there. Thank You. @Pamela and @Dee, thanks so much for your responses. I’m really happy that others have had better experiences getting through to your customer service, for whatever reason I didn’t. Your email replies weren’t in my spam folder. They weren’t in my inbox period. I sent a screen shot of that to whoever finally replied after I just hit reply to an invoice versus attempting to go through your site feature to contact you- which in hindsight might have been the issue in the first place. I’m real pleased the issue has been resolved, and I thank you for that, but I still feel your customer service leaves a lot to be desired. I even reached out to you guys via Facebook last Wednesday, got a reply TODAY (Monday October 1st) 5 days after the fact and was accused of “confusing” you guys with another company. I don’t have to lie about not receiving your emails and I am far from senile…which is insulting. Nevertheless, the temporary pause I planned on taking from you guys is now a permanent one. Wish everyone else the best with this subscription though. Hopefully I will be just an isolated case. Geordana, your issue was resolved last week. I’m glad you were finally able to see our responses. If you take a look at all three of your Facebook posts you will see they were posted by Facebook today, so we assumed these were new posts. In the future, please be sure you are responding to the request you opened rather than starting new email threads. No one is calling you a liar. I think the issue here is that you opened too many tickets which left room for missing important responses from us. Our subscribers mean everything to us and we wish you well. Any chance they’ll have the free gift choice with premium subscription box again? I see it expired a few days ago 🙁 but that would have gotten me to purchase today! @Ashley, Please email us at [email protected] if you’re still interested and we’ll see what we can do. Yay! Thanks for responding, Bombay and Cedar <3 It's great to know you're looking out! @Anna Reilly No problem! And thank you for these thorough reviews! I love that little book! If no one wants to swap it with me, I may have to buy it lol. Its in my swap listings, take a look!